Smart mall för att skära många olika former med. skill levels will love getting 2 essential tools in one bundle! 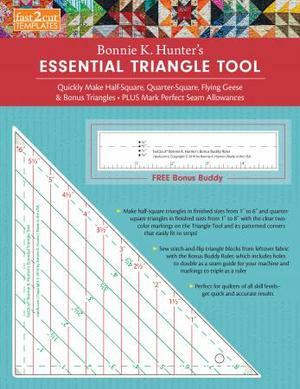 + Make perfect half-square and quarter-square triangles from precut strips. + Template features dog-eared corners to fit to strip easily and clear lines in 2 colors for easy markings.